Ruth Ann Fox was born and raised in the Pittsburgh area. 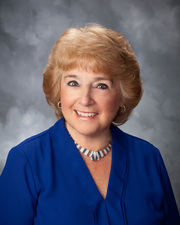 She has lived in Carrick, Baldwin, Upper St. Clair, and most recently in North Strabane. She graduated from the University of Pittsburgh with a bachelor's degree in music and a master's in Library and Information Science. One of her dreams along the way was to be in real estate. After much encouragement from her son, a real estate professional in Kentucky, she turned that dream into a reality. She has now been a licensed agent for several years.